Millions could be lost from Birmingham's economy if a venue closes, it has been claimed. 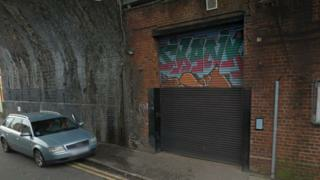 The Rainbow Venues in Digbeth had its licence revoked after the drug-related deaths of teenagers Michael Trueman and Dylan Booth. Spokesman Benjy Hill said the company, which runs several night spots in the city, brought over £2m to the local economy last year. Over 15,000 people have signed a petition to "Save the Rainbow". Iconic London club Fabric is also backing the campaign. It had its own licence revoked in September 2016, after Islington Council found it had a "culture of drug use", but reopened in January. In a post on social media, it said: "[The Rainbow Venues is] an incredible asset to the city's culture and community." Mr Trueman, 19 and a Birmingham City University student, died on 30 October, the day after attending a Halloween party at the Rainbow Venues. Dylan Booth, 18, from Solihull, died in hospital after taking a drug at the club on New Year's Eve 2015. Following an expedited review hearing, Birmingham City Council's licensing sub committee members ruled to revoke the licence saying there was "a risk to public safety." Bosses of the Rainbow Venues intend to appeal the decision. "There is unfortunately a catastrophic consequence to The Rainbow Venues pillar, The Rainbow Warehouse, losing its ability to trade," Mr Hill told the BBC. "It subsided many of our spaces and provided cash flow, so we could generate new ideas and finance people we believed in. "The loss of this venue will ultimately lead to the demise and financial ruin of Spotlight, Mama Roux, Cafe Colette, The Arena and Digbeth Dining Club may have to seek a new home."